Huh, guess its lifespan certainly wasn’t infinite, was it? Either way, Disney has now confirmed that Disney Infinity will not be continuing as a concept. This is because while Disney Infinity outperformed their other video game efforts (that division lost 53 million dollars in three months in 2013), it still hasn’t done well enough. And so with the game not bringing Disney Interactive back in profitability, Disney Infinity is now being discontinued. Once the Alice Through the Looking Glass and Finding Dory packs are out, that’s it; Disney is out of the toys to life game. Above: A promising start, but it ended just three years later. In fact, that’s not the only thing they’re discontinuing. Oh no, Disney is also getting out of the games market in general. They’ll be quitting the self-published console games business, and shutting down Disney Infinity makers Avalanche Software. That last move will cost 300 people their jobs. So it’s curtains for Disney Infinity. But does this have any ever effects? Well, possibly. You see, the toys to life market in general is not doing so hot at the moment. In fact, it only grew 7% in the US last year, and might be on course to decline in this one. As a result, sales for series like Skylanders are also down, and LEGO Dimensions has significantly underperformed compared to both Skylanders and Amiibo. As a result, it seems like Disney Infinity might not be the only casualty in this market’s impending bubble burst, and the end might be drawing near for both Skylanders and LEGO Dimensions too. And how about Amiibo? Well, it’s one of the only things making Nintendo any real money at the moment, but I can see a day when that might stop too. Maybe the Nintendo NX might mark the end of the Amiibo line? 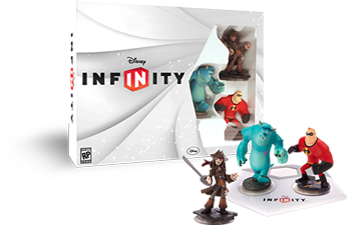 Either way, things are bleak for toys to life, and Disney Infinity has already gone under. But what do you think? Could this be the end of other toys to life franchises as well? Could Nintendo’s Amiibo ever be discontinued too?